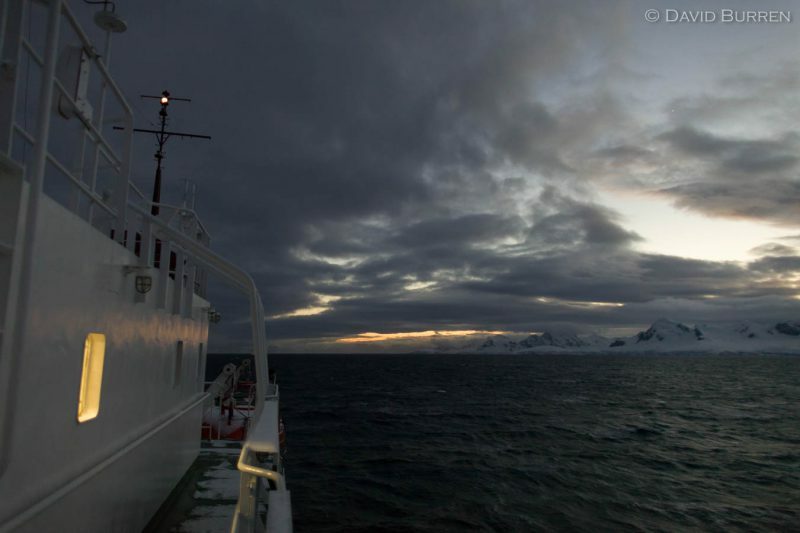 As we sailed south during our 2011 Antarctic LuminOdyssey, I woke early and went out to check the scenery. A March dawn as we sailed south along Antarctica’s Gerlache Strait. Looking back at the technical data of this photo, the exposure was only 1/80s, f/1.4, ISO 1600. So it was quite dark. And with very blue light: the colour temperature is indicated at around 36,000K!